He only coached basketball at Purdue for two seasons, but they were both memorable. And most of his players remember him with great respect. His first season, 1978-79, Purdue finished in a three-way tie for the Big Ten championship. Only one team from each conference could go to the NCAA tournament then, and Michigan State got the bid – and went on to win the national championship in that classic game with Indiana State. Purdue started conference play 0-2, losing at Ohio State and Indiana, partly because it couldn’t fly out of Hawaii – where it had played a holiday tournament – in time to go to West Lafayette first and prepare. Snowstorms delayed its departure, and might have cost it a Big Ten title. 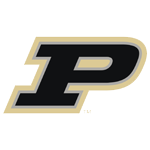 The Boilermakers reached the Final Four his second season, losing to UCLA in the semifinals. That team was led by Joe Barry Carroll, who became the first pick in the NBA draft, but still qualified as an overachieving team. 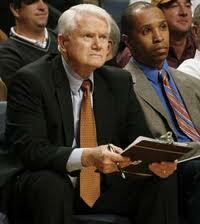 Rose was a brilliant tactician, and communicated well with his players. He was soft-spoken, but stern. I thought it brilliant the way he addressed under-performing players, as he describes in this conversation. Something like, “Is that the best you can do? It’s OK if it is, but I need to know if I’m getting your best.” To me, that’s better than screaming at a player. It forces him to respond and reconsider his effort. Rose left Purdue after his second season to initiate a program at South Florida. It remains a bit of a mystery why it didn’t work out at Purdue. He says it just wasn’t a good fit. Clearly, his relationship with athletic director George King wasn’t good. He also was frustrated by recruiting against Bob Knight and Digger Phelps in Indiana. He wasn’t able to get Indiana’s 1980 Mr. Basketball, Jim Master, to even visit West Lafayette despite an all-out recruiting push, and lost another player to Evansville. And, he simply wasn’t all that popular or comfortable within the athletic department. Life went on at Purdue, as Gene Keady replaced Rose and enjoyed great success and popularity, but Purdue fans can’t be blamed for wondering how things would have gone had Rose stayed — and been able to recruit. Rose didn’t stay anywhere for long, as it turned out. After having great success at Division II Transylvania, he coached at North Carolina-Charlotte for three seasons, leading it to a Final Four and a 72-18 record. He then coached at Purdue for two years (50-15), and USF for six (106-69). He finished his career in basketball as a longtime NBA assistant coach for four teams and a director of player personnel. All in all, it seems he had more coaching talent than his career indicates. All those years spent in the NBA as an assistant … you have to wonder how he would have done if he had coached at a major college program where he was comfortable. It’s not really that important, but Rose was one of the few guests who sent a note thanking me for mailing a CD of the show to him. He’s still the Southern gentleman. Perhaps a prickly one back in the day, but still a gentleman.